In Guess Picture: Cartoons you will face an almost entirely covered photo. 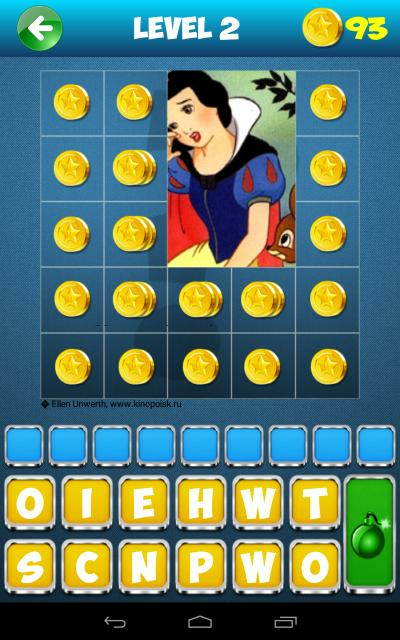 Guess Picture: Cartoons is 100% free to try! 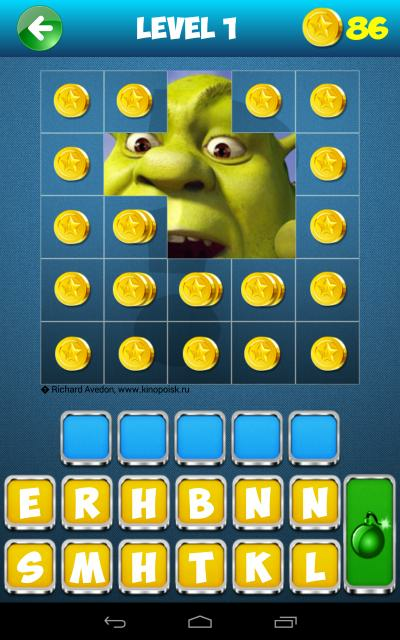 If you liked “Photo Quiz,”, "4 pics 1 word" you’ll love this app! Are you stuck? No worries! 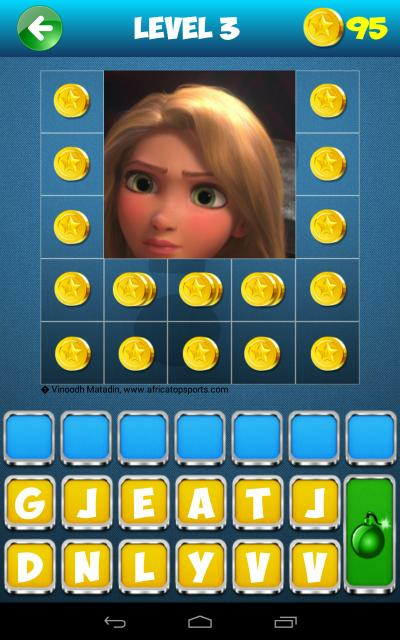 When you answer a question correctly, you’re awarded “hint coins.” With these points, you can buy hints that reveal more of the photo or a letter of the answer! If you want more hint coins, you can buy them in the store.